When you're learning the art of metalworking, the right metalworking tool makes the difference between yet another almost right project and something you can be proud to display. Buy the best � No matter what kind of metalworking tool you need, resist the urge to buy poorly made tools just because they're cheaper. You'll never get the professional results you want with inferior tools. Learn from the pros � There are many things you can learn from a book, but there's no substitute for learning from experience craftspeople. Ask a metalworking specialist for his or her advice on which tools to start with, what brands are most reliable, and how to care for your new tools. Pay attention to safety � Grinders, lathes and other high speed machine tools help you create functional and beautiful metalworking projects, but they can also be dangerous. Learn about metal shop safety, and make sure you always use protective equipment. Metal shards and splinters are hazardous, so the pros always use protective eyewear � follow their example and invest in a good pair of impact resistant goggles before you start your first project. 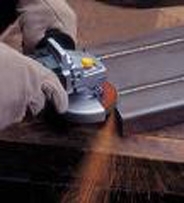 Keep your metalworking tools in good condition � Learn how to sharpen and care for each type of metalworking tool. Make sure delicate edges don't hit together in a tool box. Where the manufacturer recommends it, wipe the tools down with oil after each use to prevent rust. Join a metalworking forum � A good forum or other online group can be a great place to learn the tricks of the trade, find information about new projects, or get help with a process that isn't going well. The art of metalworking began somewhere around 7000 BCE in what is now Egypt. Ever since then, people have worked the earth's bounty of metal ores to create everything from tools to jewelry. With practice and the right tools, you will soon be a proud member of this long-standing chain of metal working. What is a 401k and why do you need one?